Dr. Chih-Wen Peng, PhD, is a professor in the Institute of Medical Sciences, Tzu Chi University. He received his B.S. degree from National Chung-Hsing University and his PhD from Oregon State University. After his PhD, he was a post-doctoral fellow in Dr. Eliott Kieff’s lab in Harvard Medical School focusing on the interactions of EBV latency products to elucidate how EBV nuclear antigens involve in the latency dependent transcription program. He joined the faculty at department of Life Sciences in 2004 and at the IMS in 2015. Originally from Taiwan, Dr. Peng originally received his B.S. degree from National Chung-Hsing University. Shortly afterwards, he received his PhD at Oregon State University and completed postdoctoral training with Dr. Elliott Kieff at Harvard Medical School. He joined the faculty at Tzu Chi University as an assistant professor in the Department of Life Sciences working closely within the Institute of Medical Sciences. Dr. Peng has conducted proteomic and epigenetic research to dissect how Epstein-Barr Virus (EBV) exploits or subverts the cellular factors to establish and to maintain the persistency in host cells. 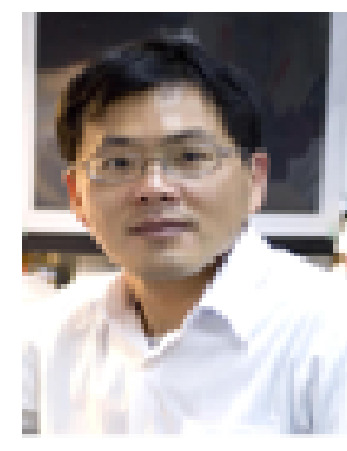 Dr. Peng’s research interest focus on exploring the mechanistic insight of EBV-mediated transformation of human B lymphocytes through targeting to the key viral latent proteins. His group have identified some cellular factors are involved in the establishment and maintence of EBV latency program. In addition, we also advance to anti-EBV compounds discovery. Epstein-Barr Virus (EBV) was the first human tumor virus shown to associate with a broad spectrum of cancers originating from lymphocytes and epithelial cells. EBV related studies have been of huge importance to our understanding of how viruses can cause cancer. The establishment of lifelong latent infection in host cells is a prerequisite process of EBV-induced tumoriegenesis. Dr. Peng’s research focuses on: (1) Understanding of how EBV latent genes interact and modulate cellular factors to build up the permanent infection in host cells. (2) Identification of new biomarkers and therapeutic targets for EBV associated cancers. (3) Development of new anti-virus protocol for being applied to translation medicine research of EBV-associated malignancies. 1. *Tsai, C.-H., Cheng, C.-P., Peng, C-.W., Lin, B.-Y., Lin, N.-S., and Y.-H. Hsu. 1999. Sufficient length of a poly(A) tail for the formation of a potential pseudoknot is required for efficient replication of bamboo mosaic potexvirus RNA. J. Virol. 73, 2703-2709. 2. Peng, C. W., and V. V. *Dolja. 2000. Leader Proteinase of the Beet Yellows closterovirus: Mutational analysis of the function in genome amplification. J. Virol. 74, 9766-9770. 3. Peng C. W., V. V. Peremyslov, A. R. Mushegian, W. O. Dawson, and V. V. *Dolja. 2001. Functional specialization and evolution of the leader proteinases in the family closteroviridae. J. Virol 75, 12153-12160. 5. Cheng, J. H., C.W. Peng, Y. H. Hsu, C. H. Tsai. 2002. The Synthesis of Minus-Strand RNA of Bamboo Mosaic Potexvirus Initiates from Multiple Sites within the Poly(A) Tail. J. Virol. 76, 6114-6120. 6. Peng, C.W., A.J. Napuli, and V. V. Dolja. 2003. Leader Proteinase of Beet Yellows Virus Functions in Long-Distance Transport. J. Virol 77,2843-2849. 7. Peng , C.W., Y. Xio, B. Zhao, *E. Kieff and S. Harada. 2004. The direct interactions between Epstein-Barr Virus Leader Nuclear Protein LP and the EBNA2 acidic domain underlie coordinate transcriptional regulation. Proc. Natl. Acad. Sci. USA 101, 1033-1038. 8. Peng, C.W., Bo Zhao and E. Kieff. 2004. Four EBNA2 domains are important for EBNA LP coactivation with EBNA2. J Virol. 78(20):11439-42. 10. Chang YJ, Liu JW, Lin PC, Sun LY, Peng CW, Luo GH, Chen TM, Lee RP, Lin SZ, Harn HJ, and Chiou TW. 2009, Mesenchymal stem cells facilitate recovery from chemically induced liver damage and decrease liver fibrosis. Life Sci. 23;85(13-14):517-25. 11. T-L *Chiu, Su CC, Wang MR, and CW Peng. 2009, AAV2-mediated interleukin-12 in the treatment of malignant brain tumors through activation of NK cells. International Journal of oncology. Dec;35(6):1361-7. 12. Lin, RH, Peng, CW, Lin, YC, Peng, HL, HC *Huang. 2011, The XopE2 effector protein of Xanthomonas campestris pv. vesicatoria is involved in virulence and in the suppression of the hypersensitive response. Botanical Studies, 52:55-72. 13. Yu, SH, Yang, PM, Peng, CW, Yu, YC, SJ *Chiu. 2011, Securin depletion sensitizes human colon cancer cells to fisetin-induced apoptosis. Cancer Letters, 300:96-104. 14. Bo Zhao, James Zoub, Hongfang Wang, Eric Johannsen, Chih-Wen Peng, John Quackenbush, Jessica C. Mar, Cynthia Casson Mortond, Matthew L. Freedman, Stephen C. Blacklowd, Jon C. Asterd, Bradley E. Bernsteinc, and Elliott Kieff. 2011, Epstein-Barr virus exploits intrinsic B-lymphocyte transcription programs to achieve immortal cell growth. Proc Natl Acad Sci USA.,108:14902-14907. 15. Chiu, TL*, Peng, CW, MJ Wang. 2011, Enhanced anti-glioblastoma activity of microglia by AAV2-mediated IL-12 through TRAIL and phagocytosis in vitro. Oncol Rep., 25:1373-1380.